Samsung SMT-i3105 IP telephone provides access to the key features of the OfficeServ 7000, underpinned by best in class IP technology. 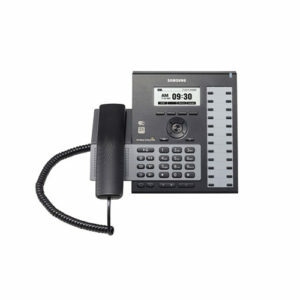 Offering a small desktop footprint and with the ability to wall mount, the i3105 is ideal for general office, industrial or retail solutions use through its ability to support either handset, full duplex hands free or headset use. 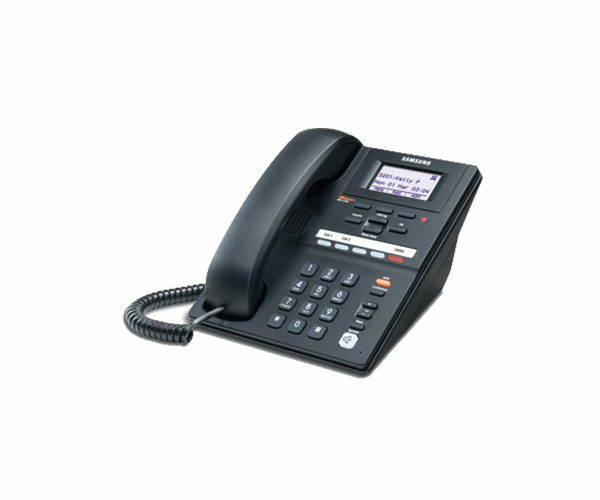 When integrated with desktop applications, the SMT-i3105 is effective in more demanding customer contact call centre environments. The i3105 presents an intuitive interactive context screen menu to the user providing one of the easiest user interfaces in the market. 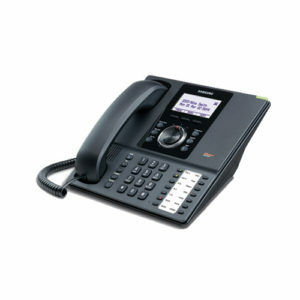 The i3105 also allows for seamless hot-desking enabling users to log in to any IP handset. 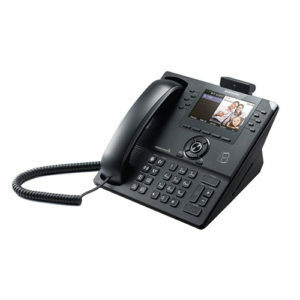 This allocates the users personal details including extension number, direct dial and handset configuration to the desk in use at that time. The i3105 also features 5 BLF keys.